What’s So Special about Pueblo Bonito? 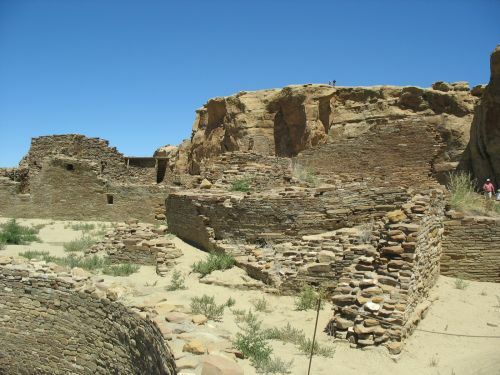 I’ve been many times in 20 years to chaco and read much and I’ve been forming a blasphemous opinion; what makes pueblo bonito the greatest of the great houses? Assuming all the other great houses were controlled by different entities even while sharing the same religion, why should there have been no successful challenges for bonitos status or position? I responded, but I think this issue is actually important enough for a post. I think john is quite possibly on to something, for reasons explained in my response, but here I want to talk about a slightly different way to look at the question of Pueblo Bonito’s uniqueness. In my response I said that in my view the main thing that makes Bonito the greatest of the great houses is that it’s the best known and most thoroughly excavated. There are really two parts to this. 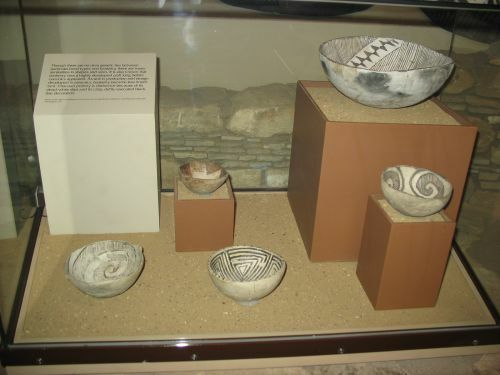 On the one hand, the fact that so much is known about Bonito from the extensive excavations there and so little is known about other great houses means that all interpretations of Chaco are necessarily skewed by an overemphasis on Bonito and an underemphasis on the other sites. The importance of this skew is impossible to tell, of course, because it depends on what the actual nature of the Chaco system was and what the roles of the different great houses were within it, which are basically unknowable with the information we have now. So in that sense, Bonito is the “greatest” of the great houses just because we know more about it than we know about any of the others, and it quite possibly was not actually the greatest at the time. 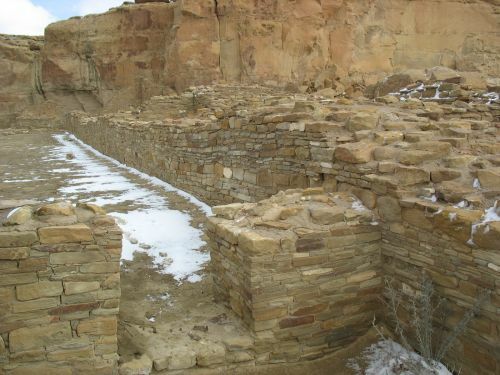 In other words, the Bonito-centric nature of current models of the Chaco system could just be due to the historical accident of choices about where to excavate first, and Bonito may not actually have been the greatest of the great houses at the time. In another sense, though, Bonito really is the greatest of the great houses regardless of whether or not it was the greatest when it was in use. This is precisely because it has been so extensively excavated and left open for visitors to see. It’s really a very impressive site, and the visual impact of seeing it and wandering through its huge maze of rooms is one of the highlights of a visit to Chaco. Because none of the other great houses have been been excavated and left open to that extent, they can’t possibly have the same effect on visitors despite. They’re all impressive, of course, but the unexcavated and less-excavated ones are not impressive in the same way as Bonito. 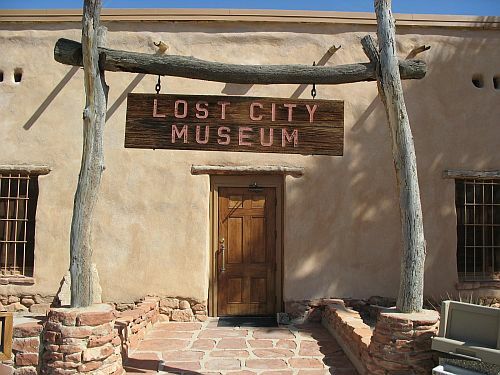 The only other great house that can be experienced in anything like the same way is Aztec West, which was also extensively excavated and left open. It’s bigger than any other great house except Pueblo Bonito and Chetro Ketl, but it is smaller than those two, and less of it is open to the public than is the case at Bonito. It’s also somewhat less impressive just because the setting of the Aztec complex is much less striking than Chaco Canyon. Back when I was giving tours of Pueblo Bonito, I began to get tired of it after a while, and I would think it was a bit overrated and that the other sites should get more attention. I, of course, had been reading about all these sites and was interested in them based on that, and it took me a while to realize that for most visitors they’re just not going to have the same effect as Bonito. 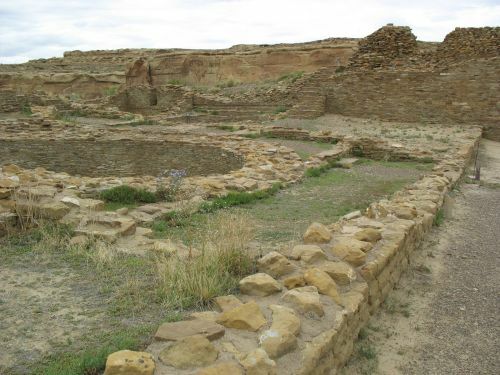 All the sites at Chaco are worth seeing, but once I realized just how different Bonito is from all the rest I began to heavily emphasize it when advising people about what to see during their time in the park. 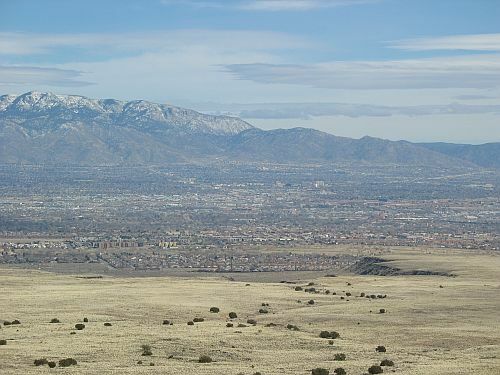 Places like Una Vida and Pueblo del Arroyo are definitely interesting, but I think for most visitors they’re a lesser priority, and rightly so. 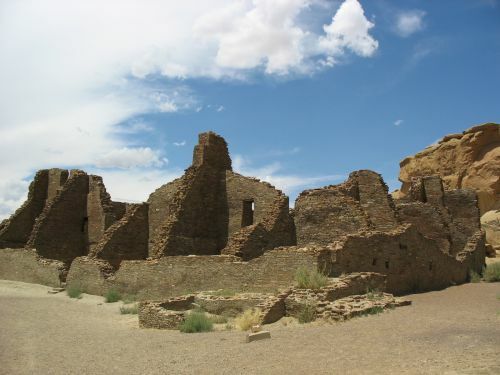 Pueblo Bonito is what people come to Chaco to see. When you look at it that way, it doesn’t actually matter if Bonito was the most important of the great houses in the eleventh century (or the tenth, or the ninth). 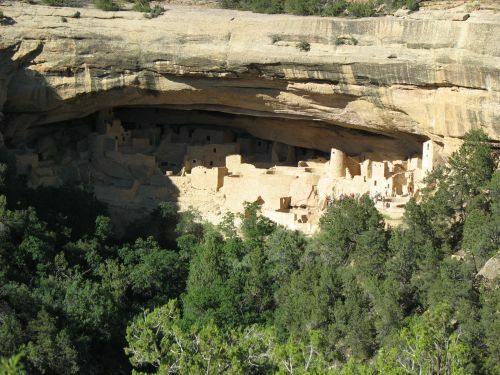 It’s the most important of the great houses now, because it’s the one that impresses people enough to draw them to the canyon from all over the world. It’s the most impressive not because it’s the biggest, although it is, nor because it was at the center of the Chaco system, although it probably was, at least at the height of the system in the late eleventh century. It’s the most impressive because it’s the only one you can actually walk through and experience personally. It is of course largely because it’s the biggest of the great houses that it was excavated early on and left open as an exhibit for visitors to see, so in that sense it is the greatest of the sites because it (probably) was the greatest of them originally. 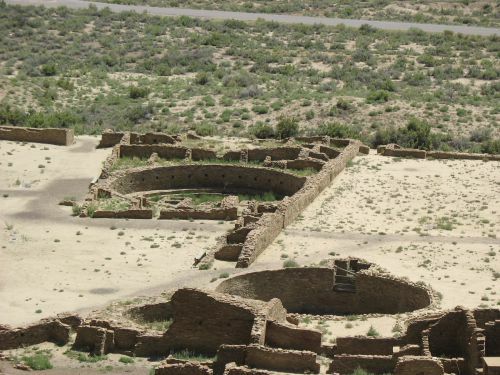 Even if a new, bigger, more important great house were somehow discovered tomorrow, however, it would not displace Pueblo Bonito as the most important of the great houses to visitors today, because there’s no way it would be excavated and left open the way Bonito has been. 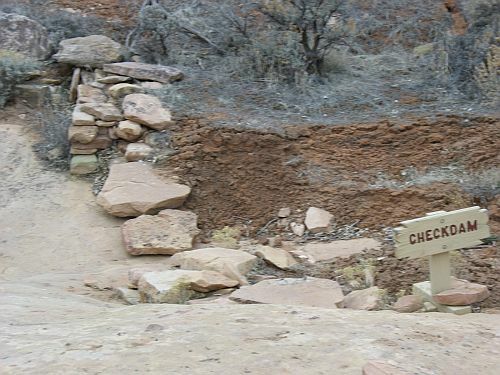 Archaeology has changed over the past century, as has Park Service policy. Pueblo Bonito is still there, though, open and accessible, and it will remain so for at least the near future. 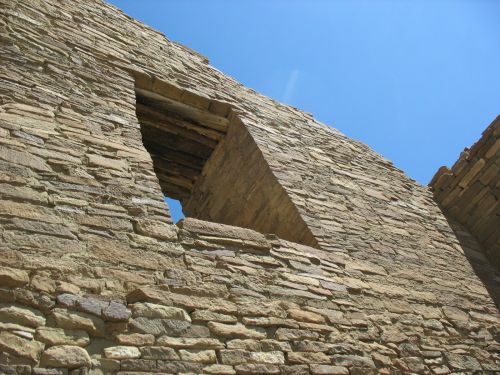 As I explained in my response to john, I suspect that Pueblo Bonito may well not have always been the most important of the great houses, although I find it most plausible that any shift of influence would have been to increase rather than diminish Bonito’s role over time, at least up until the decline of the canyon and the probable shift of the system to Aztec. Understanding the changing dynamics of the Chaco system over time is, I think, a very important part of understanding the system in general, and one that has been largely neglected by most research, although this is starting to change. 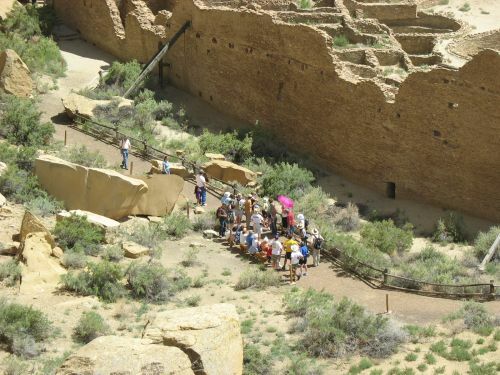 None of that matters much for the average park visitor, though, who will remain most impressed by the stunning remains of Pueblo Bonito from the period of its height. Whether there were other great houses that were even more impressive at that time is a rather abstract question when the grandeur of Bonito is right there, and whether earlier versions of Bonito were less important than other sites at some earlier time is even more abstract and immaterial. It’s Bonito that people see, and they are impressed by it. That’s a core reality that I think those of us who tend to delve deeper into the world of Chaco research can easily forget. It’s important, though, and an occasional reminder of it is a useful reality check. I’ve had a link to the Chaco Archive under “Resources” in the sidebar ever since I started this blog. It’s always been a useful site, run by Steve Plog at the University of Virginia, but they’ve now just finished a huge redesign that makes it both much fancier-looking and more useful than it was before. Not that it wasn’t useful before; there was quite a bit of information there, and I would use it pretty frequently. Now, though, you can actually directly query their database, which wasn’t possible with the way it was set up before, and they’ve also added a bunch more stuff that wasn’t accessible at all before. They also kindly linked to me under their “Resources” section. Anyway, if you’re at all interested in Chaco (and if you’re reading this blog you probably are) there’s a ton of interesting stuff there and I definitely recommend checking it out. Yesterday the water level in Lake Mead hit its lowest point since the lake was originally filled in the 1930s. John Fleck was there to mark the occasion, and he has some interesting thoughts on this historic event. The importance of this milestone is more symbolic than practical; the lake level has not yet become low enough to trigger an actual shortage of water. 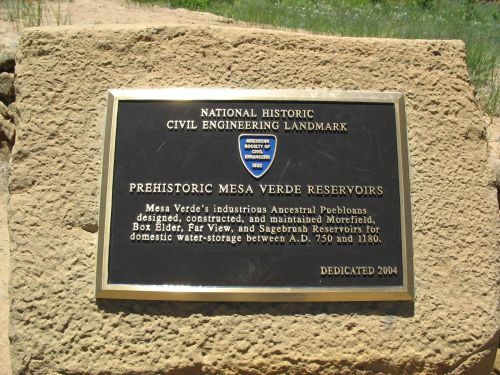 Nevertheless, this is an important reminder of the importance of water in the Southwest and the brave new world it is entering as the climate changes and conditions become both drier and less predictable. Why Do Americans Have Yards? Today is Blog Action Day, and the topic is water. I did a post for this last year when the topic was climate change, so I figured I’d do it again. Water is obviously a huge issue, especially in the arid Southwest, so there are a lot of directions I could go with this. 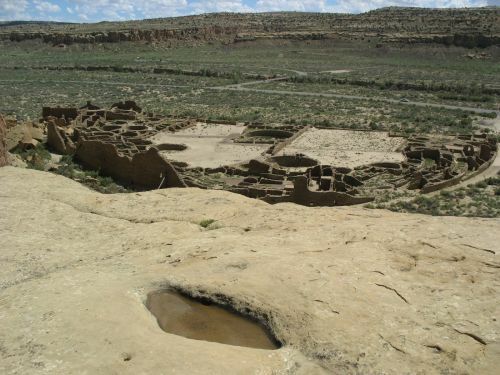 I did an earlier post on the importance of water at Chaco, which is certainly worth linking in this context. For Blog Action Day, however, I thought a discussion of a rather different issue, a bit far from my usual fare here, would be interesting. One of the most noteworthy characteristics of urban sprawl is inefficient use of land, symbolized most obviously by the suburban development pattern of single-family houses on large lots. Whatever space on these lots is not covered by the building footprint or a driveway is typically divided into yards. Front and back yards are nearly universal in suburbia, and found at a smaller scale in some urban areas as well, and on particularly large lots side yards are found as well. These yards are generally interpreted today as being for recreational use, and backyards in particular often have recreational amenities like swimming pools, but at least in my experience people don’t seem to use this space for recreational purposes to nearly the degree you might expect given the sheer amount of it. Maintaining a yard is also a major effort in time and resources, especially if it is covered with a grass lawn which requires regular mowing and (at least in more arid regions) watering. The amount of energy and water expended on these activities is huge, and for what? A big empty space that isn’t generally used for much of anything. This is not to disparage the choices of people who prefer to have large amounts of space on their property or like maintaining lawns, just to say that I really don’t understand the appeal, and judging by the popularity of apartment-style living where it is available it seems I’m not alone. Plenty of people, it seems, find the amounts of open space provided by public parks and other public or semi-public areas to be perfectly adequate for their needs. And yet, we still have all these yards. 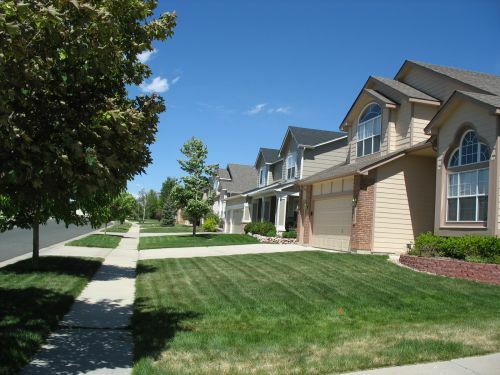 In most suburban areas they are essentially mandated by setback requirements in zoning and subdivision codes. So how did we get here? Obviously it’s a complicated story, and I’m sure there are many different parts to the answer. One important aspect of the story that doesn’t seem to get much attention is described by Jon Peterson in an article on the nineteenth-century sanitary reform movement and its influence on American urban planning. As Peterson describes it, the origin of the yard is something of a byproduct of a series of important changes in urban sanitation and waste management in response to the rise of the industrial city. Up until about 1850, every house in America, rural or urban, had two things which were absolutely necessary for life: a well and a cesspool. In rural areas, where most people were farmers, everyone had lots of land, so siting these so that contamination of the water supply was not a major issue would presumably have been pretty easy in most places. Even in towns, lots were generally large enough to maintain a safe distance between the well and the cesspool. In preindustrial cities, lots were smaller than in typical towns, but there was still no public provision of water or sewerage, so people still had wells and outhouses on their small urban lots, and disease could be a problem. 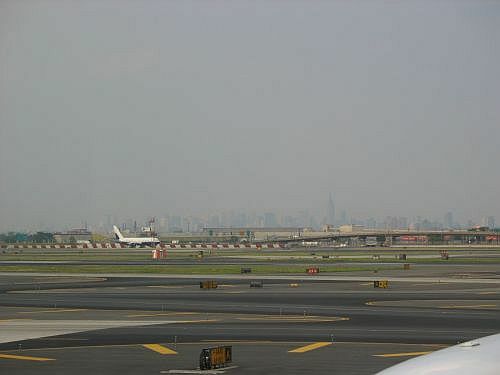 As long as cities remained small, however, these problems were manageable. Garbage, too, would generally be stored on-site until someone took it away, and waste kitchen and washing water would often be dumped right into the street. There were sewers, but they were used exclusively for carrying away excess stormwater and preventing flooding (basically like storm sewers today), and dumping waste in them was illegal. The problems with this system, such as it was, became most glaringly apparent once industrial growth led to massive increases in city size. This happened first in Britain, where by the early nineteenth century the filthy conditions of fast-growing cities were atrocious, and the decision to deal with the problem by allowing waste to be dumped in sewers only made things worse. Remember, these were storm sewers, and water only flowed through them when it rained. 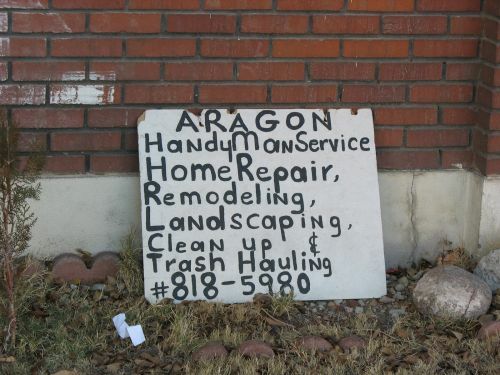 The rest of the time, all sorts of waste accumulated and clogged them up. By the 184os it was clear that the problem had reached crisis proportions, and the social reformer Edwin Chadwick came up with the idea of dealing with it by introducing a system by which water would be provided to houses and used to flush waste through a system of sewer pipes laid out so as to use gravity to carry the waste away. This was known as “water-carriage sewerage,” and it was the principle upon which all subsequent sewer systems were based. The full implementation of the idea in a slightly different form in London came in the 1860s under Joseph Bazalgette. In the US, industrialization had not yet progressed very far at that point, but the nation’s few cities were growing, and other factors were making the waste problem worse. Probably the most important was the introduction of public water supply in the 1840s. Once people no longer had to depend on their own wells (which would become less productive as more people moved into the area with their own wells, lowering the water table) or cisterns, they began to use vastly more water, much more than the engineers who designed the water systems had anticipated, and the excess water overloaded the cesspools and created many of the same problems that British cities had been experiencing for a while. US sanitary reforms were impressed with the sewerage ideas coming out of Britain and argued for sewer systems to be implemented in American cities. Boston and New York, which had the biggest problems, accordingly put in extensive but largely uncoordinated sewer lines in the 1850s and 1860s. 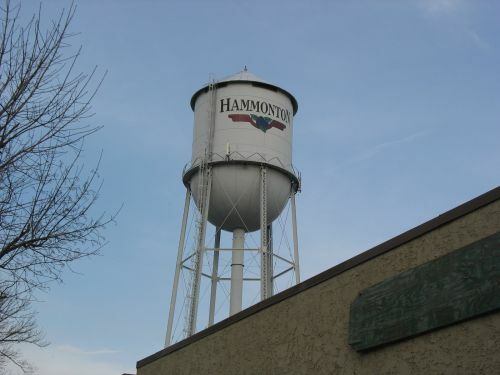 In the 1870s, as industrialization began to take hold and American cities began to grow rapidly, the problems with the traditional water and waste disposal systems became apparent to more and more cities, and the use of sewers proliferated from then on. This led to a considerable improvement in urban public health, although the other health problems resulting from the expansion of urban industry may have made this improvement less apparent at the time than it is from our perspective today. So what does all this have to do with yards? Peterson mentions briefly, near the end of his article, what he calls an “illustrative but little appreciated impact of sanitary reform upon urban land use,” namely, new uses for the space on urban lots formerly occupied by wells and cesspools. Once urban households had running water and water-carriage sewerage, they no longer needed to devote space outside the house to these necessities of life, and they could use that space instead for recreation. Thus, the yard was born. 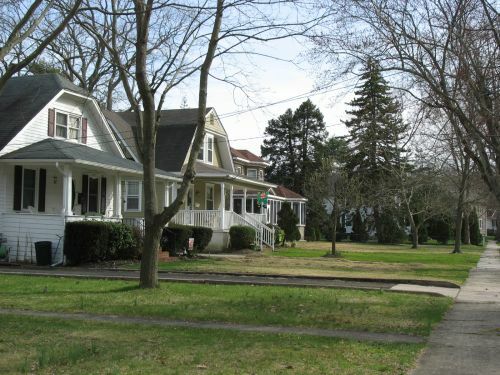 In the biggest and fastest-growing cities, of course, rising land values in the late nineteenth century led most of these earlier lots to be bought up and used to build tenements, skyscrapers, and other high-density uses that maximized the amount of the lot used productively and destroyed both the houses and the yards that had been there before. In smaller cities and towns, however, this didn’t happen to nearly the degree it did in places like New York and Chicago, and the yard remained. Around the turn of the century civic improvement associations around the country associated with the City Beautiful movement encouraged the planting of grass, flowers, and other plants in these vacant parts of household lots to beautify them. This is the origin of the lawn. Later, this particular idea of beauty would be incorporated into the self-consciously suburban developments of the 1920s, and from there to the sprawl of today. And so here we are, with big empty spaces filled with grass, the result of technological improvements in sanitation intersecting with emerging ideas of civic beauty. 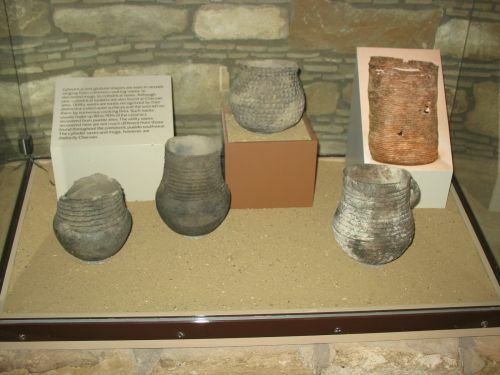 In honor of the twentieth anniversary of the passage of NAGPRA, Science has an interesting special section of short articles on the impact of NAGPRA on archaeology and physical anthropology. They’re all definitely worth reading, and free with an annoying registration. 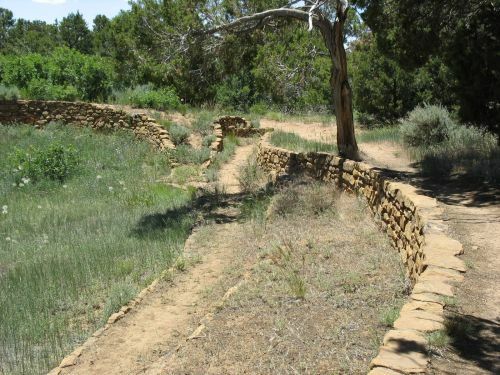 Among them is an interview of Steve Lekson by Keith Kloor which is of obvious relevance to Southwestern archaeology in general and Chacoan studies in particular. 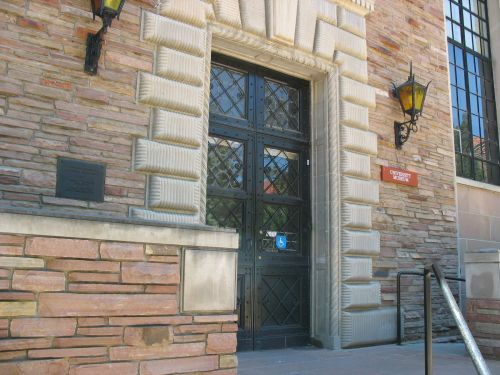 Lekson’s thoughts on NAGPRA, which he has had extensive experience with as anthropology curator at the University of Colorado Museum of Natural History, are interesting and nuanced, which comes across more clearly in the longer essay he recently published as part of a similar NAGRPA-at-20 issue of Museum Anthropology. 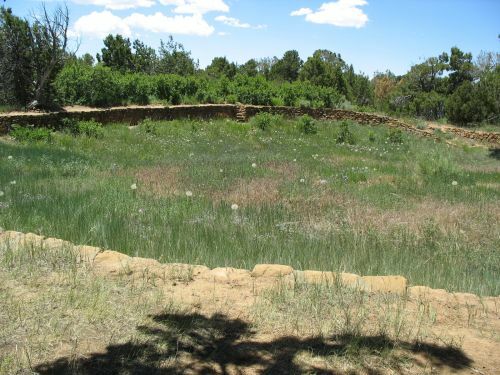 In the interview, although he states clearly that he considers NAGPRA the right thing to do, his overall attitude toward it sounds somewhat negative, which is typical of archaeologists of his generation. The essay, however, shows clearly that he actually has a more positive view of it than most of his colleagues, although he is quite clear about the problems it poses for archaeology. His overall view seems to be that NAGPRA is very problematic for archaeology as a discipline, both in obstructing the practical aspects of research and in calling into question the value of the whole enterprise, but that both NAGPRA and archaeology are nevertheless important and worth doing. That’s more or less the way I see things as well. Of course, another reason for me to be mentioning this interview is that it contains a link to one of my posts here, about the radiocarbon dating of the two elite burials in Room 33 of Pueblo Bonito, which Lekson points to as an example of the kind of important information that can be extracted from human remains using new techniques that are made very difficult by NAGPRA. That post doesn’t discuss NAGPRA issues much, however, so readers following the link may be more interested in this one, which discusses some of the issues raised by one of Keith Kloor’s earlier articles and sets out my thoughts on NAGPRA and “cultural affiliation” in considerable detail.